Have you been using youchampactively? 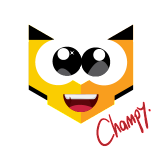 We have just released a youchamp update loaded with new and amazing features. So now your app is even more useful for you than ever before! Go ahead and use the awesome new youchamp features to show your loved ones how much you care. Just in case you need it, here is a helpful video showing you how to use youchamp. Make sure you watch it and share it with your friends and family if they need help using all of our new features. Oh, and now you can even use your credit card to pay your friends and family, just like that. So how good does all of this work for you? We’ll see you sharing and caring in youchamp soon! And don’t forget to encourage your friends and family to do so, too!